Two months after the acquisition heard 'round the world, Didi Chuxing is launching an updated version of the Uber app in China. The latest version of the app is currently being pilot tested starting today (October 26). Most of the features will either be upgraded or remain virtually unchanged, but there's one major difference: the new app may now be more difficult for foreigners to use, according to Quartz. "Didi has also removed the app’s English-language interface, as well as the option to pay with foreign credit cards. That means many of the 800,000 expats living in China (along with hundreds of millions of overseas tourists) will suddenly be left with no choice but to grab taxis when getting around the city, unless Uber fixes this issue in future versions. Didi and smaller Chinese ride-sharing players like Yidao Yongche have never offered English-language apps, so Uber was the only choice for non-Mandarin readers." But according to Technode, who spoke directly to Uber, those changes are only temporary. Features such as an English interface and the ability to accept international cards will likely be "added in future updates." “Uber China will invest more resources in enhancing our products while ensuring the affordability and reliability of our services,” Kate Wang, Head of Operations of Uber China, told Technode. Technode also reports that the upgraded platform will maintain the 24-hour in-app customer service function. 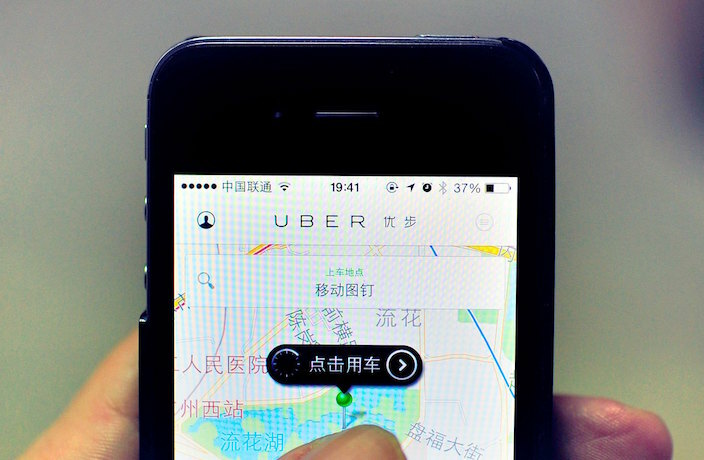 The new Uber China app will officially launch on November 3. Apple has yet to release a statement explaining why the apps have been dropped from their digital store.